Labour proposes a new law to stop asset sales. More like this please! Labour is introducing a new private members bill to prevent the sale of key strategic assets unless there is a clear public mandate. “Assets like our power companies were built through the blood, sweat and tears of New Zealanders and paid for by Kiwis over generations. They are not National’s to sell. “John Key is arrogantly ignoring the fact that at least two-thirds of New Zealanders strongly oppose the sale of our community-owned assets. He should have to seek a specific mandate before flogging off those assets to corporate and foreign buyers,” said Phil Goff. The private members bill, in the name of State-Owned Enterprises spokesperson Clayton Cosgrove, will require any future proposal to partly or wholly privatise an SOE or Crown entity to gain support from 75 per cent of Parliament or from a majority of voters in a referendum. The State-Owned Enterprises and Crown Entities (Protecting New Zealand’s Strategic Assets) Amendment bill will entrench enterprises listed in Schedules 1 and 2 of the State-Owned Enterprises Act 1986. Those assets include our state electricity generation and transmission companies, NZ Post (including KiwiBank), Landcorp (including its extensive holding of farmland) and Solid Energy. It also includes other strategic assets like Radio New Zealand, Television New Zealand and the Crown research institutes. “These assets belong to New Zealanders. National does not have the right to sell them without the support of Kiwis. Once they are sold they are lost forever. A good idea. In the meantime it’s just as well the Govt is seeking a mandate at the next election. But why stop at asset sales? Expanding this to to full binding citizens referenda would be better. I’m no fan of tyranny of the majority. Just because a majority of people think it’s okay doesn’t mean it really is okay. Well this new proposal suggests that for asset sales, it is. And why is a tyranny of a minority better? Especially of 120 self appointed, arrogant incompetents. How does this impact on Labour’s/Cunliffe’s stance on PPPs? Depends if those PPPs involve selling off SOEs. So generally not at all, then. My point being, that if the government ends up entering into a PPP where they otherwise would have normally just gone ahead and done it themselves, it is also essentially privatisation. Wealth is created through ownership rather than asset sales. The legislation obviously applies to existing assets. Labour’s proposal was for start ups only and was otherwise considerably restricted. The idea that citizens initiated referenda are the be-all end-all solution is what is ridiculous. For example the whole California budget crisis is a direct result of the much earlier citizen’s initiated referendum on property taxes. Also, Oregon (I think), had two referenda, one to impose a ban on tax increases, and another to ban spending cuts. Because these were binding, the state was locked in a permanent structural deficit. And, direct democracy remains as susceptible to big money as representative democracy, even more so. Just wait until the “Campaign for Better Government Mark II” opens it’s wallet. 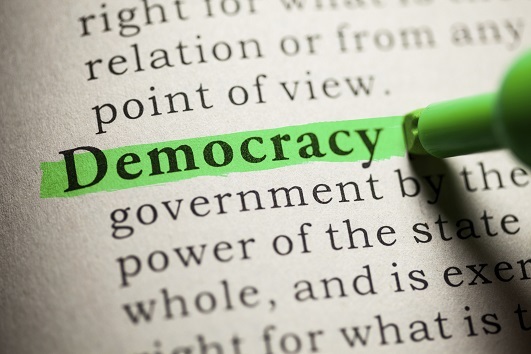 The whole Direct Democracy meme rides on politicians and political actors acting for what is considered to be in the best interests of the country, and not be a front for interest groups trying to get their various proposals across the line. How naive is that? There are ways you can protect voter’s rights to referendums without having crazy structural deficits, such as an MoF veto which most legislation is already subject to. AG veto for BoR breaches. Selling off more high earning state assets will do nothing except exacerbate our crazy structural deficits. CV, I know you see my name and your brain immeaditely goes into leftie smear mode, but read Policy Parrot’s post, in particular the part where he talks about California’s and Oregon’s deficits. To anyone with half a brain they’d be able to figure out that I was referring to said deficits. Hi Jeremy, you know I appreciate it when your name appears at The Standard. In fact, when the Oregon Governor signed tax increases last year targetting the wealthy and businesses into law, Republicans and big business did form a bloc using direct referenda to strike down the tax increases. They failed. In 2010 Oregonians voted strongly in favour of taxing the rich and businesses. Oregon voters since 1990 have limited property taxes, rejected sales taxes and vetoed across-the-board income taxes. But with 87% of the ballots counted, the measure to raise income taxes on households earning more than $250,000 a year, and individuals earning more than $125,000, was winning with 54.1%. A second measure to raise the state’s corporate income tax was ahead with 53.6%. It’s good to see my comment has prompted you to go and do some research, if you knew that before you posted you wouldn’t have referred to NZ deficits. While steps have been taken to reform those deficits in the last few years, the problem – particularly in California – is well known and has been for 20 years. Well that’s completely useless. There have been dozens (it may be three figures) of laws passed over a report from the Attorney General that they conflict with the BORA. Parliament just passes them anyway. True. The BORA is a joke. b) Because it’s set up in such a way as to allow the government to bypass it if it considers the new law in the interests of New Zealand even if it does break the BORA. Personally, I’m not a fan of entrenched written constitutions as they have a nasty habit of preventing change that needs to happen but I do think that the BORA needs more teeth. Although it makes me feel physically ill, I have to agree with DTB. Although not that the BORA should potentially be entrenched (that’s a different argument) but some function where the AG’s objection or legal opinion could not be overridden, an open appeal to the Supreme Court perhaps. BCIR can work, the Swiss make it work work, not only on a National level but at lower levels of government, and MoF and AG clauses would be a great way to strengthen this. BS. It works perfectly fine in Switzerland and several other US states. Why use one example from California. The NZ Government is proving to be pretty good at having an excessive budget deficit to benefit a few rich people and corporates. How could we do worse than at present. Opponents of direct democracy are really just worried that the majority will not follow their views. It is never very popular with any stripe of politician, because they want power at all costs. And, “even if it is the wrong decision it is ours to make”. On top of that is the very real threat of Tyranny of the Majority. Transfer that scenario to NZ and I wonder if the Homosexual Law Reform Bill (1986) would have been passed had it gone to referenda? Or the Prostitution Law Reform Bill of 2003? Heck, women didn’t get the vote in Switzerland until 1971!! Until then, numerous referenda on the issue had been voted down. I have a very real fear of lawmaking-by-referenda – especially law that is complex. For example, who can forget Norm Withers’ referendum held in 1999, which asked, “Should there be a reform of our Justice system placing greater emphasis on the needs of victims, providing restitution and compensation for them and imposing minimum sentences and hard labour for all serious violent offences?”? Lawmaking by referenda, to me, is a lazy way to make law. It involves little thinking; very little participation by the public; and only superficual knowledge of issues – usually by media. Complex issues devolved to a simple “Yes” or “No” tick. It would be like handing over the justice system to internet messageboards/Fora, for a verdict. It would be the ultimate ‘McDonaldisation’ of our political system. May the Flying Spaghetti Monster help us all. Binding referenda are far too dangerous in the hands of the New Zealanders who are proven to be greedy and selfish, misogynist and red-necked. We can’t handle our drink and we still think women take time off for their periods – rest assured there are many more cretins like Alasdair Thompson galumphing about. The Norm Withers referendum question was not actually one question; it was 4. Apparently, the clerk that okays these questions allowed it through just to shut Withers up, the clerk being safe in the knowledge it would be ignored by government. It should not have been allowed as one question and the clerk should have been sacked. I remember putting a giant cross on the question paper and shoving it angrily into the voting box, thinking New Zealand hasn’t progressed very far at all in its evolution. The S59 Bill was a ridiculous exercise in misleading and manipulating the public, which is incredibly easy given Key, in spite of his lies and betrayals, is still so popular. The question should never have been allowed. Binding referenda should never be allowed in this country; the foreign media and corporates that control our communications and everything else, just about, don’t deserve our trust that they would observe objective rules. That is a joke! At the moment we have a tyranny of a very small, wealthy minority. What is worse is Government by minority in the USA, UK and NZ keeps voting for less taxes for the wealthy putting the economy in deficit and shutting our society down. Looking at two BCIR decisions in California is cherry picking unless you look at how it has worked fine elsewhere. Judging by the polling at the time the majority in NZ supported the bill. It was parliament who held it up. I suspect a majority are also happy about gay marriage. It is a minority of religious people, supported by Government who are too scared of them to revisit the issue, who are holding up a sensible abortion reform law. Maybe, maybe not. I suspect the majority could have been persuaded by sensible argument. But it is not a consideration against democracy that some people do not like the decisions. Many more do not like most of the decisions of our present Government. Again in NZ it was Parliament that held this up. Indications were that the majority view was women should have equal rights. The decision in Switzerland reflected their society not their political system. The same thing would have happened no matter what form of Government they had. The Government censored the senior judge who argued against more severe sentencing. Again this needed a more informed level of public discussion, instead of point scoring politicians. You mean the majority may not agree with you! If you think you have a better way it is up to you to prove it will work. Who are you to say you can understand complex issues but the public cannot. The majority did oppose section 59. Not I suspect because they wanted to go out and beat their kids, but as I did, because the police already have more powers than the level of maturity and skills of the average police-person can handle. Given more discussion and less of the disgusting name calling and BS from both extremes we may have got a better law. Similarly with the FS and SB law a lot more discussion and time was required to make a durable solution which was OK for the majority of both ethnicity. Doesn’t work that way in Switzerland. Politicians have to work hard at getting views across, making legislation work or it will be voted out. Research shows that on the whole BCIR makes better decisions than politicians. New Zealanders have shown over time that, contrary to your belief, the majority believe in fairness and equality for minorities. How many really oppose fair treaty settlements for example. And handing it over to the prettiest politician on TV is not! I suspect given the evidence of increased crime figures, if they are abandoned, the public would quickly vote them back. When people know that they will actually make a difference they will take more interest and demand they are properly informed. Why would anyone fully consider how they vote in a referendum when they know it will ignored. Like most people your objections are really. “We cannot have democracy because the decisions may not reflect the ones I would make”. Well. I am happy to test my ideas against the collective intelligence of the public. Are you? More gutsy stuff like this please. This isn’t gutsy, it’s a token gesture. This bill will never see Parliament because Labour is filibustering the VSM bill. Labour has only proposed this bill because they know it will never be read. Presumably they intend to follow this up at the general election though, right? If they don’t, then I agree, this is a waste of time and an own-goal for Labour – only willing to propose legislation when they know it will never be read or passed, but don’t want to propose legislation when they’re actually in power and can pass it. Hopefully the requirement for a mandate will be extended to Governments wanting to make purchases of new “assets” too, so we can avoid a repeat of the Kiwirail experience. Yes, or at least removing the BS that such deals are (and remain) “commercially sensitive”, which was the excuse that the previous Govt used when it signed that deal. Forget the previous Govt (man you righties are really hung up about them), NATs are cutting corporate deals left right and centre these days. Secret mining corporate meetings notwithstanding. Only mentioned the previous Govt as it was they who signed the Beemers deal. I think all deals should be transparent, except in well-defined special circumstances (with ombudsman oversight). As you know LAB signed the Beamer deal, Key and English then chose to exercise the contract’s options to get new Beamers. Why stop at asset sales? Why not make every parliamentary proposal require a 75% majority of Parliament? What a stupid move. When Key gets reelected in November he will have a mandate. Quaoting polls isn’t a good idea for a prospective Labour leader especially when on current polling he will lose his seat. There’s nothing stopping any future government from repealing this specific law, if it was passed. Except public sentiment, of course. To clarify: Parliament has the power to do anything, except curtail it’s own power. If a law is passed that requires 75% approval before some action is taken, that law can be repealed with a simple majority vote, and then the action also undertaken with a simple majority vote. Wrong, an entrenched law, and this would be one, requires 75% voting to repeal it. You can stack as many entrenched laws on top of each other as you like, but ultimately the bottommost one can be repealed by simple majority. To get around this, we would need to dissolve parliament and set up a special constitutional parliament which in turn would create new system under which future governments would be formed. We haven’t done this, so parliament at the moment is completely sovereign and all powerful. Interesting proposition Lanth and one that has taxed law students for many years. PC’s proposal is not so interesting in that it would pretty well stymie most if not all action by the state. Unless keeping the current cars was going to end up costs us more through contract penalties etc (An argument I’ve not seen clearly answered anywhere) no I don’t believe they shouldn’t have been purchased. The BMWs did not need to be replaced. It was a 5 or 6 year deal (In other words we would have got the same good deal a couple of years later) and the government could drop out of it at any time (It didn’t have to buy the new vehicles at all). Labour’s SOE ‘policy’, as per usual, is disingenuous. Why won’t Labour legislate against corporatization of State-owned Assests? Power companies are still forcing people to go cold in winter despite being state owned. And don’t expect kiwibank to start offering 2% home loans anytime soon. There’s really no difference between a State-owned coporation and a private one. The fact that profits go into services for the people, instead of into the pockets of a few wealthy private shareholders, seems to be a big difference. I think what Green Tea means is that with the corporatisation of former government departments into State Owned Enterprises under New Public Management, state owned companies are instructed to act as if they were indeed private companies. Of course, the original reason for corporatisation was rationalisation and privatisation. Now there is this weird marriage of the state owning what are effective private companies, rather than running them as a service provision – arm of the state if you will. It is exactly because of this NPM directive that SOEs operate in the manner described above – that SOEs are designed to operate free of political interference, which is disingenous if you don’t really want to sell off the services. The general public have a right to be annoyed if Meridian announces huge profits for the year, because it is government policy to charge a profit margin – effectively a user-pays tax, on top of generation, maintenance and future-proofing capacity. Running something corporate style with almost self appointed directors and managers taking an excessive cut is also dysfunctional. The corporate model is not a good one to follow. Massive power price rises over the last decade are indeed a failure. But better for the resulting profits to go to the government, than to go overseas or into a private company’s pocket. That’s a flaw with an SoE model that requires government to act as an arms-length shareholder (often being considerably less interventionist than a private business owner would be in similar circumstances). I’d suggest a more radical and at the same time practical move than Labour’s – convert most of the SOEs into worker- or worker/customer cooperatives. This is very different from a conventional stockholder corporation – the ownership and control is divided on a one person / one vote basis. – each coop would have articles of association that vest the company in its members and prevent privatisation without an unreachable hurdle (like 90% agreement). The effect of all this would be that for a right-wing government to privatise a coop, they’d not just have to pass a law: they’d have to confiscate the coop members assets *and* forgo a large amount of tax and loan money. Except I wouldn’t necessarily do this to already public enterprises, but just to private or new ones. …convert most of the SOEs into worker- or worker/customer cooperatives. If they were working as an arm of the state rather than as profiteering businesses then they would inherently be worker/customer cooperatives. And how does Labours bill fall foul of parliamentary standing orders? Hard to know if this is a serious policy (ie they expect to get elected and then put this in place) or the type of policy you trumpet when you’re in opposition and expect you’ll be there a little longer. I would expect the later (given it’s not likely to become reality) but it puts pressure on the Nats which after all is the role of the opposition. Ahh – See Eddie has a post up. Great idea, except perhaps for Landcorp, which needs a fresh look. Landcorp is now a weird distortion of its original purpose, which was to settle young farmers on semi-developed farms and let them build up some sweat equity. The old State Advances and Lands Departments ran this quite well in the 60s and 70s, as many still around can recall. There is no reason why this policy cannot be reinstated. It was strictly managed in the old days and ensured only the best suited young NZ’ers got this chance to farm, even if they were short of cash. Lands never saw itself in the long-term business of ‘farming’ – the department was a developer and subdivider for settlement. As it stands now, Landcorp is still the nation’s biggest farmer (shades of the Stalinist State Farms), and holds a raft of well-improved properties. These, like most farms, show only small cash profits in relation to the taxpayers’ capital employed. Landcorp needs to justify its existence again, though the arguments for its continuing will no doubt be as flimsy as ever. Both National and Labour have muttered about Landcorp at times in the last 20 years, but it seems to roll along regardless. IMO Landcorp should be folded into AgResearch (as well as possibly Plant and Food), and turned into a super-CRI or something like that. Use it as a testing ground for environmentally friendly farming methods. But that will piss off Monsanto, among others who you may remember is set to walk in and destroy NZ’s Agriculture Industry. Genetically modified seeds, Soil destroying herbicides, all waiting in the wings for when TPP is law. Of course as soon as it is law then they can sue us if we try to develop any product, service or system that threatens the income stream of a Corporate entity deemed by American Courts to be at risk by New Zealand’s attempts to develop a sustainable economy. Anything that would ‘piss off’ Monsanto should please independence-minded New Zealanders, fighting against the TPPA. Our credit rating is largely based on our ability to repay the loans taken out by our Government on behalf of New Zealand. When we sell assets, we lose income, so we must therefore be a higher risk and i would deduce then that our credit rating is affected. We don’t but, then, we’re not supposed to. NActs rich foreign mates are. It’s a step in the right direction but I’d much rather a comprehensive definition of Natural Monopolies and a stated position that the state will own them. As I tried to convey the other day, definition of a natural monopoly is complex as it can come down to physical attributes, the nature of the business and sometimes simply that the state should be doing it rather than private providers. I/S makes a good point to in that a super-majority is needed to pass the actual entrenchment and so is, unfortunately, unlikely to pass. NAct will never agree to it as if such an act passes they’ll never be able to give away our wealth again.